Available in four models and two sizes, there’s an Eloflex solution for every type of user – young, old, strong or weak. The whole idea is to give you more freedom and less dependency on others. 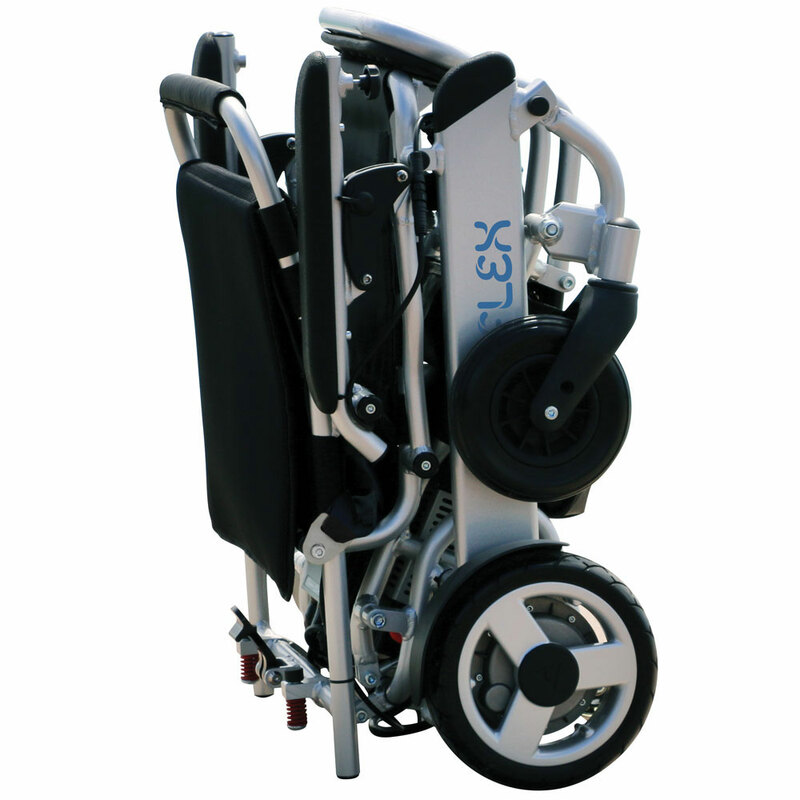 Eloflex power wheelchairs are available in different sizes and designs. 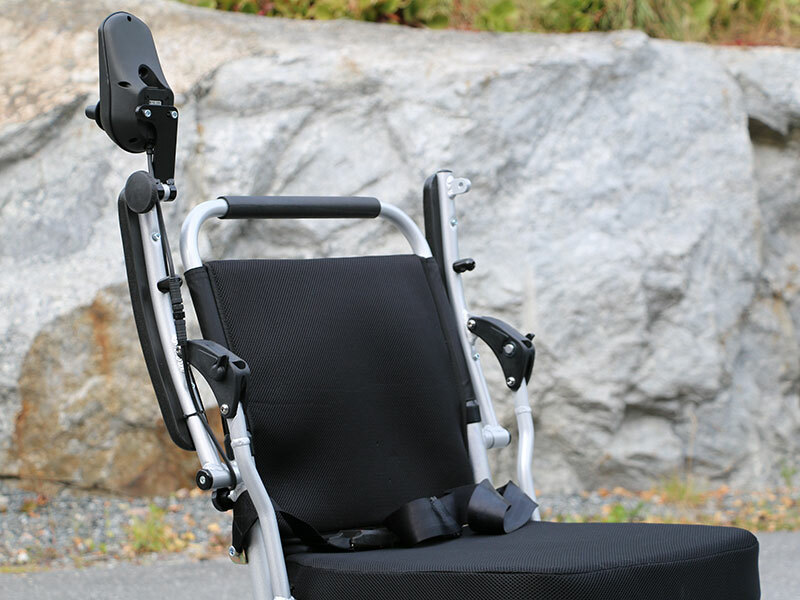 Our M-Plus model is ideal for shorter users, Model H for heavier users, model X is specially designed for seniors and L and F, which are our most popular models, fit all others. All chairs work equally well indoors and out. 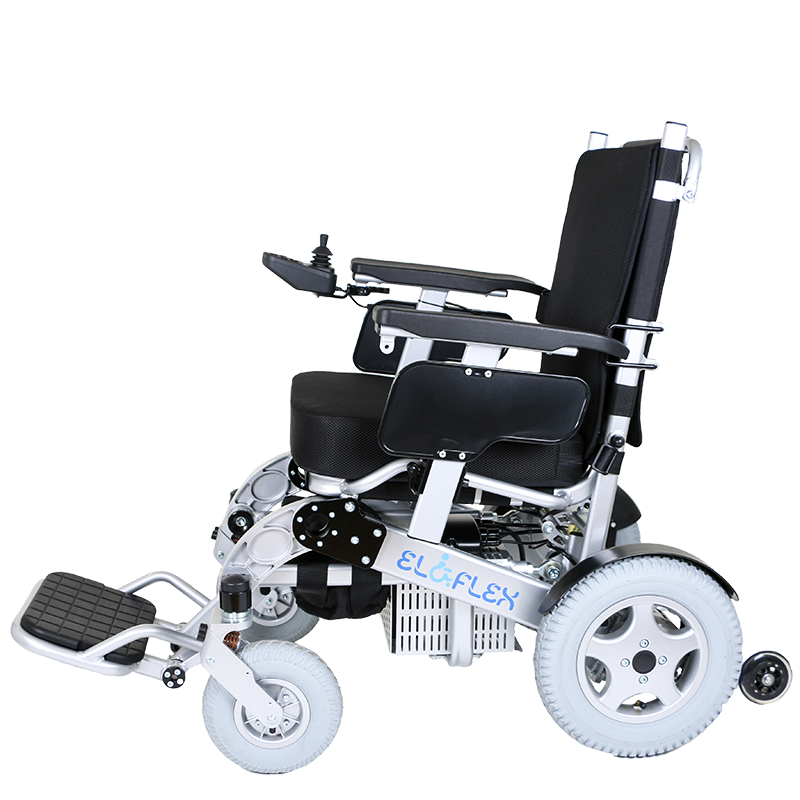 Several of our models have larger, air-filled rear wheels and stronger engines, designed for those who intend to use your Eloflex most outdoors, in nature and on uneven or snowy surfaces. All models feature a robust, lightweight aluminum frame. They also come with dual high-tech batteries and powerful brushless motors for long-range use and can all be folded in one simple operation. 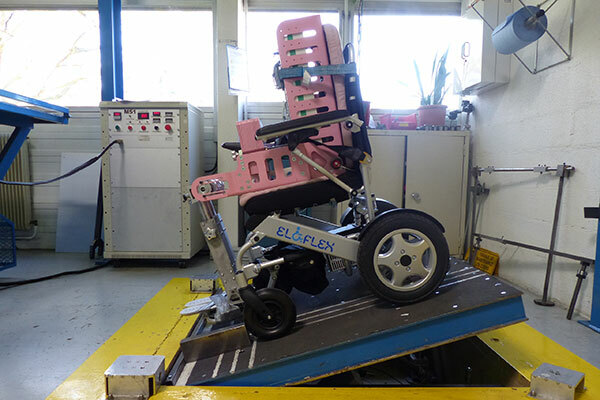 Eloflex M-Plus has a lower seat height than other models and it’s therefore ideal for users with shorter legs. M-Plus is also a popular model among our slightly heavier users (max. 150 kg). incl TVA. 2 years warranty. Eloflex X, our all-new chair designed specifically for seniors, is the latest addition to the Eloflex family. 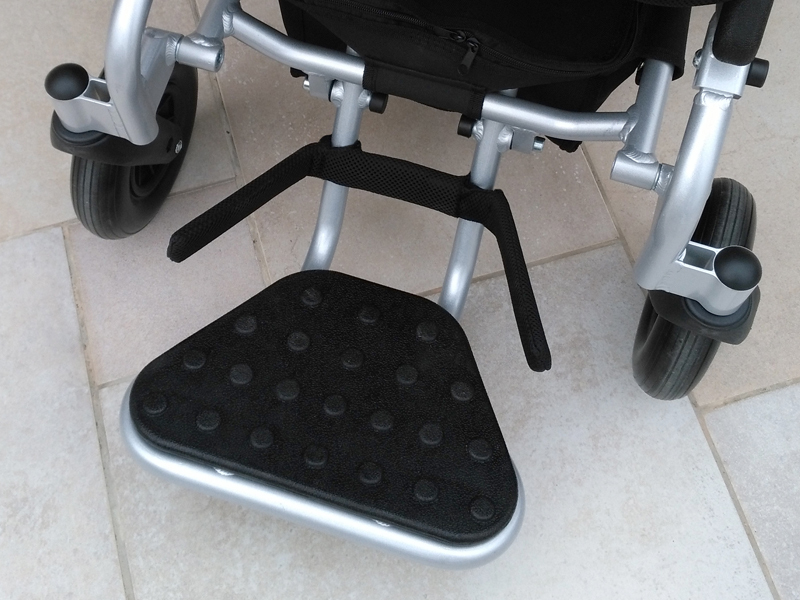 It features a cross-brace folding frame design, joystick, folding footplates and adjustable backrest and armrest. 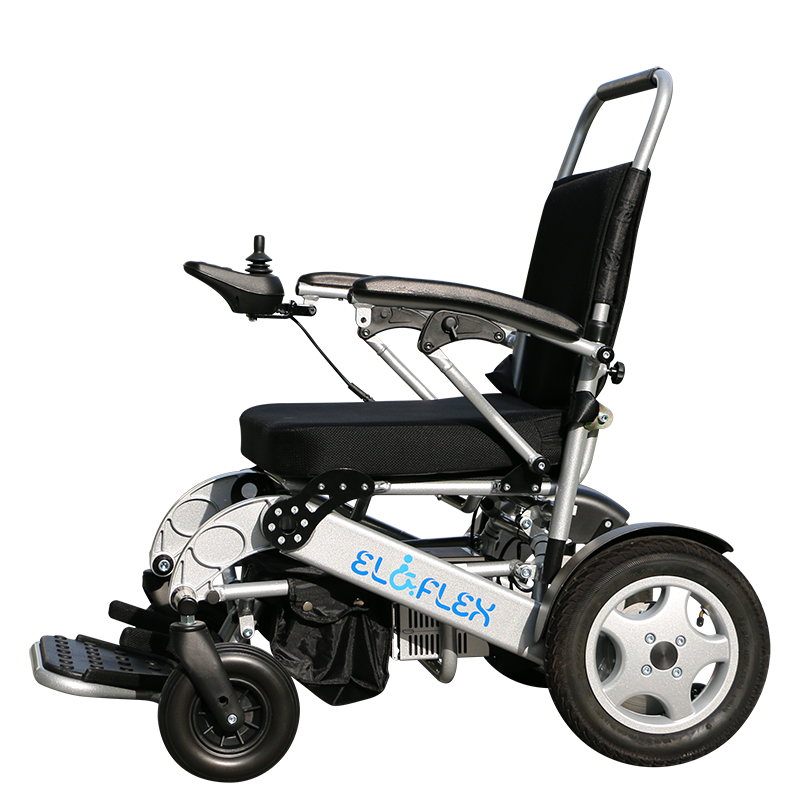 Eloflex F, a development of our most popular model, is ideal for active users who like to be outdoors, drive on uneven surfaces (gravel, grass, cobblestones, etc.) or want to get around in the winter. 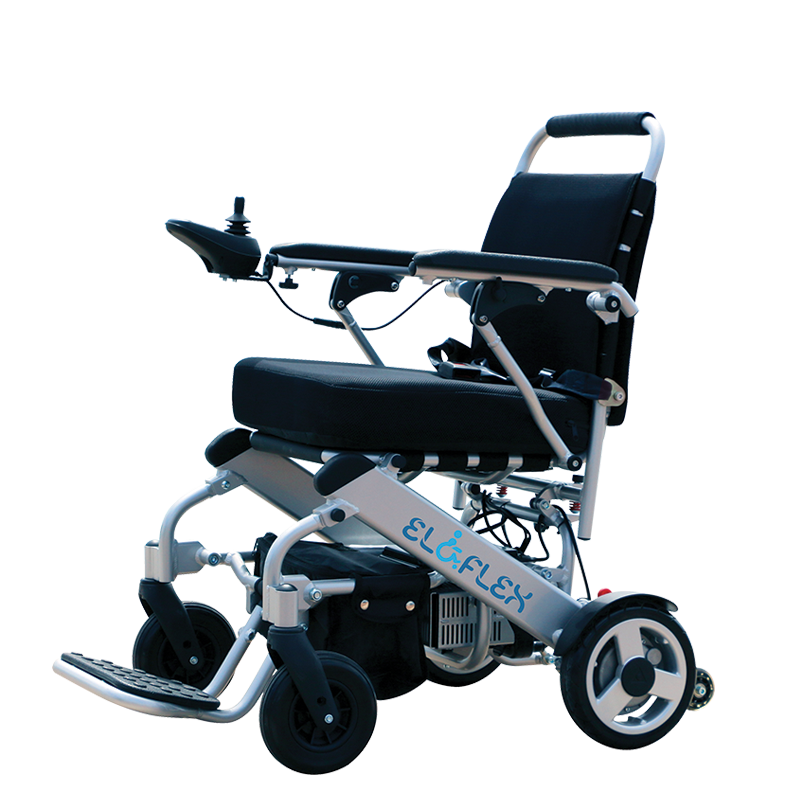 Eloflex L is the original which with 52 cm seat height fits most people. Integrated tilt protection, dual batteries, small turning radius and compact design make L an equally flexible option indoors and out. Eloflex H is our most powerful model, specially designed for our heavier and taller users. 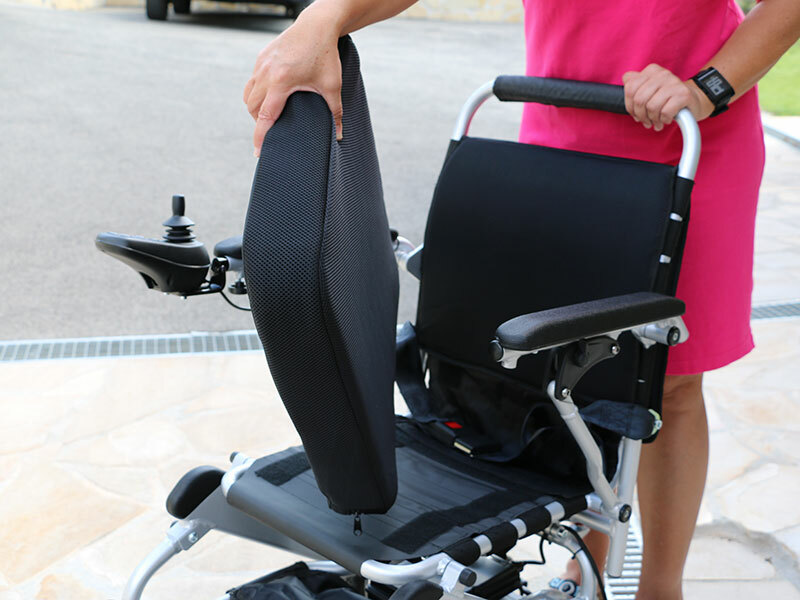 It’s a spacious chair with fantastic driving characteristics that can handle users weighing up to 200 kg. 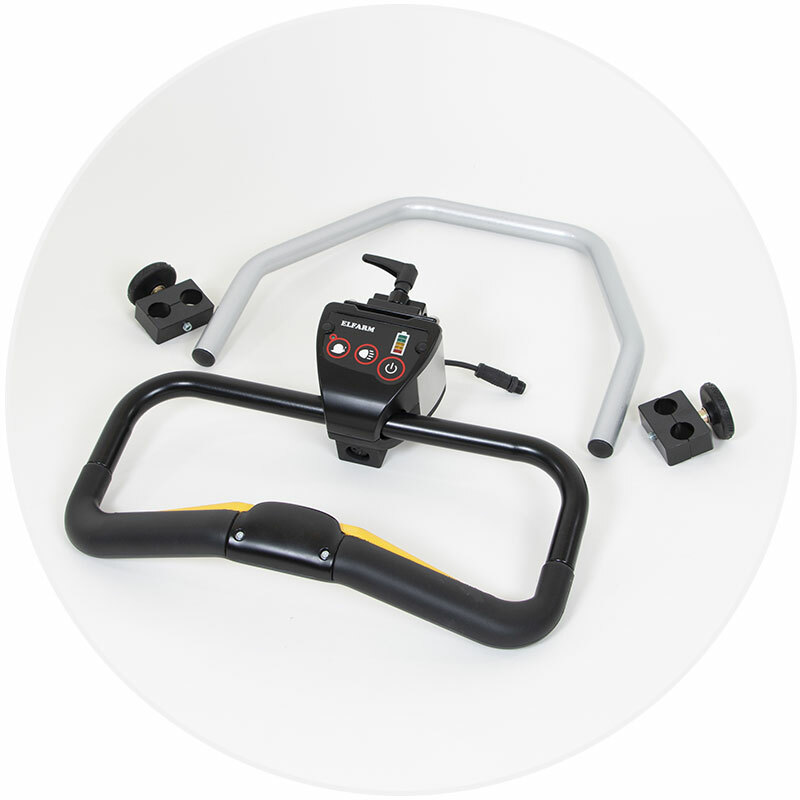 Model W is something completely new – a unique intuitive attendant control system whereby the electric wheelchair, using sensors, tracks the slightest movement from the person behind the chair and pushes it along. ** attendant control requires holder sold as an accessory. Download facts and technical specifications here. If you are an interested user and wondering where in your country you can buy an Eloflex. 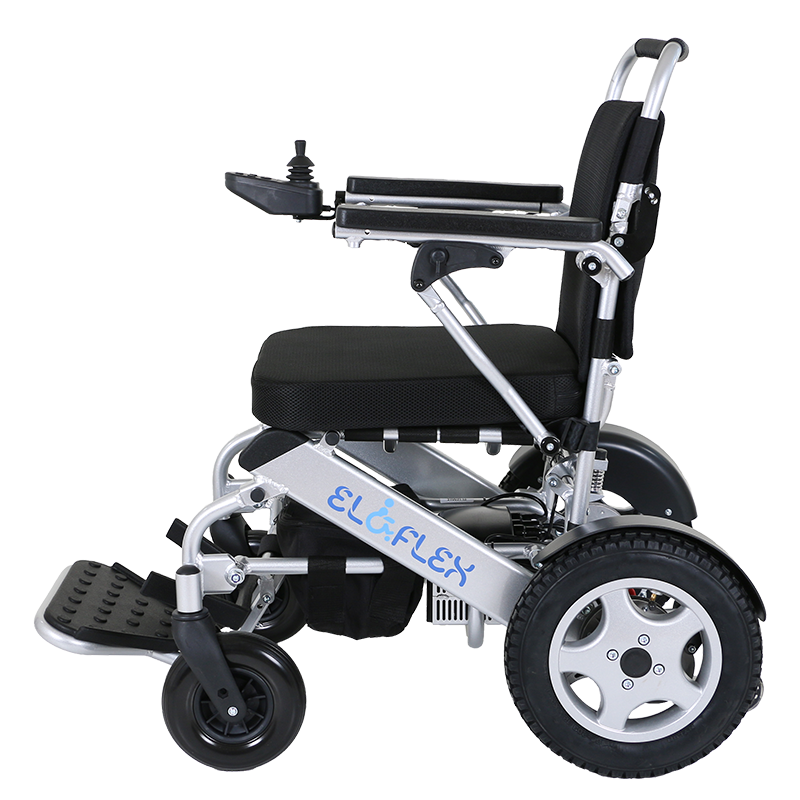 Or if you’re a dealer or distributor who would you like to sell Eloflex wheelchairs in your country. 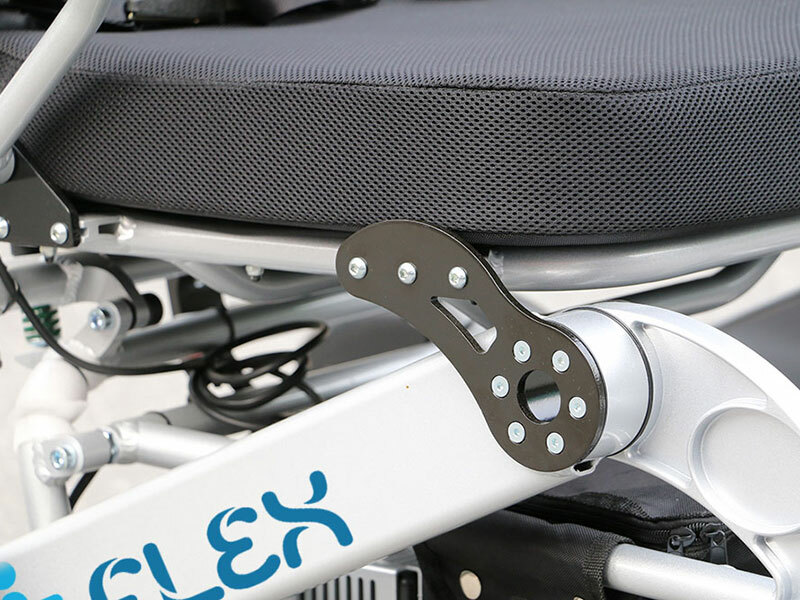 Eloflex is one of the smartest wheelchairs on the global market today. It includes a wide range of unique features and accessories that make it easy, compact and foldable. Do you have specific needs? 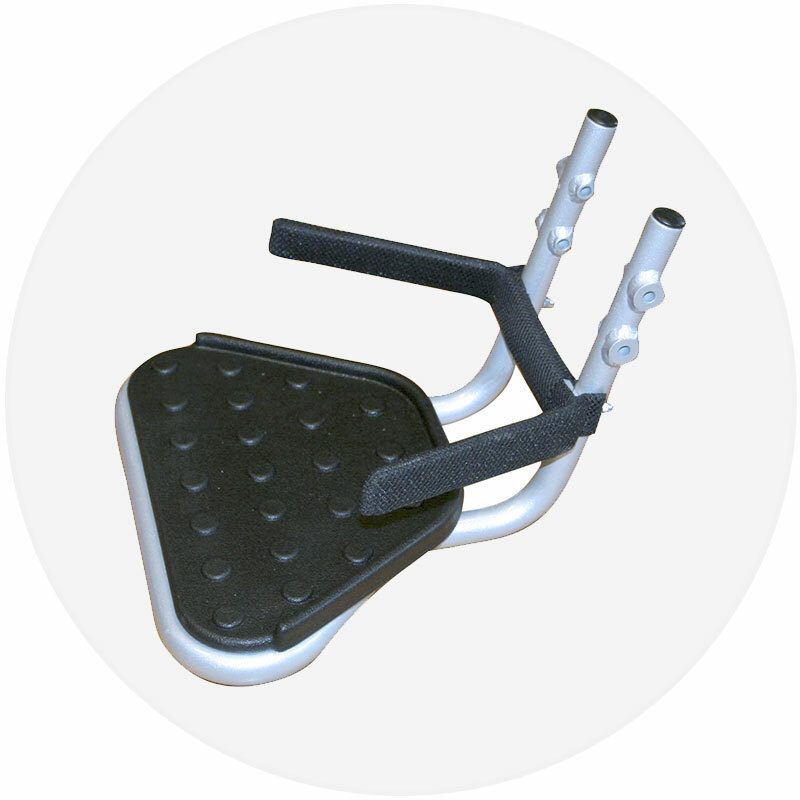 Just customize and adapt the chair to fit your own individual requirements. 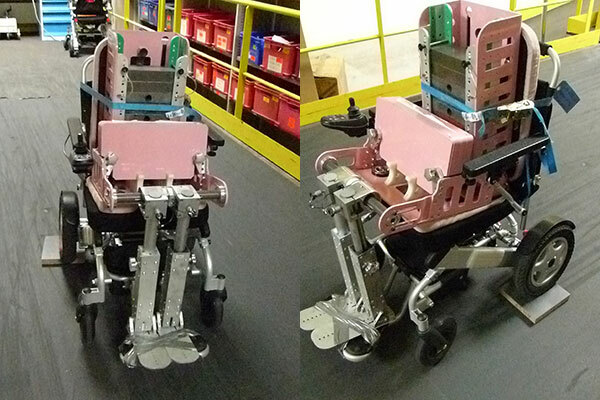 This helpful care control system is guided by the movements of the person behind the electric wheelchair. 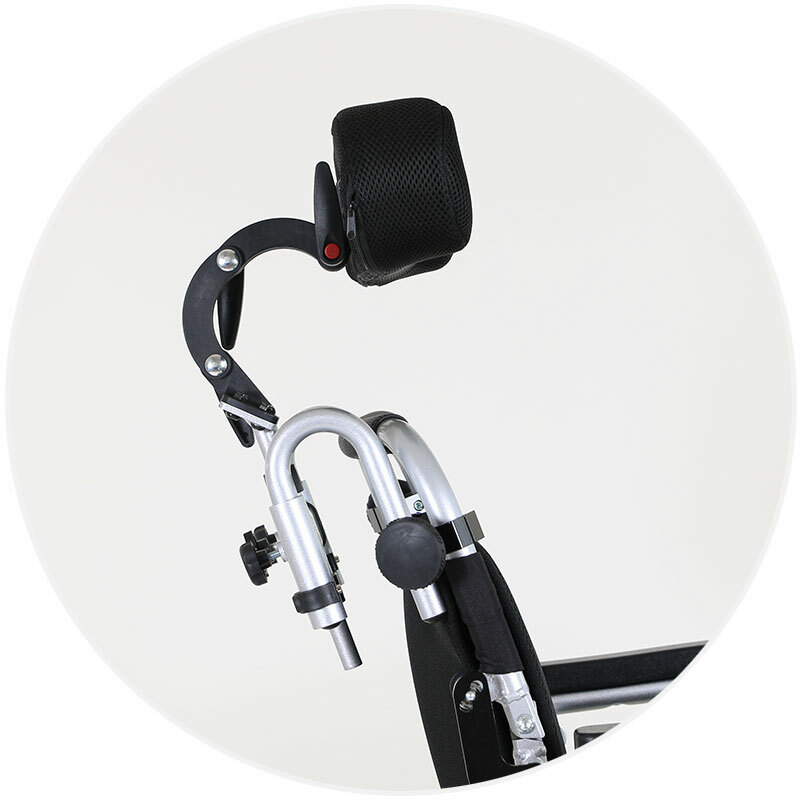 Uniquely, no force is required to drive or steer the chair since the handle is sensitive to movement and follows the slightest changes in walking or speed of the person behind. The person who is pushing the chair simply needs to put a hand on the care control and start walking. Read more. 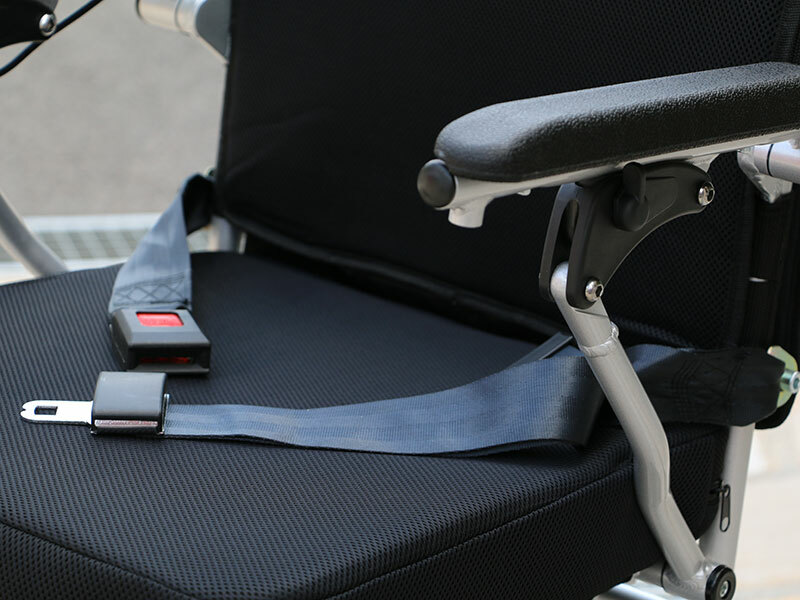 The headrest makes your Eloflex more personalized and useful, even for those requiring a little extra support for the head and neck. 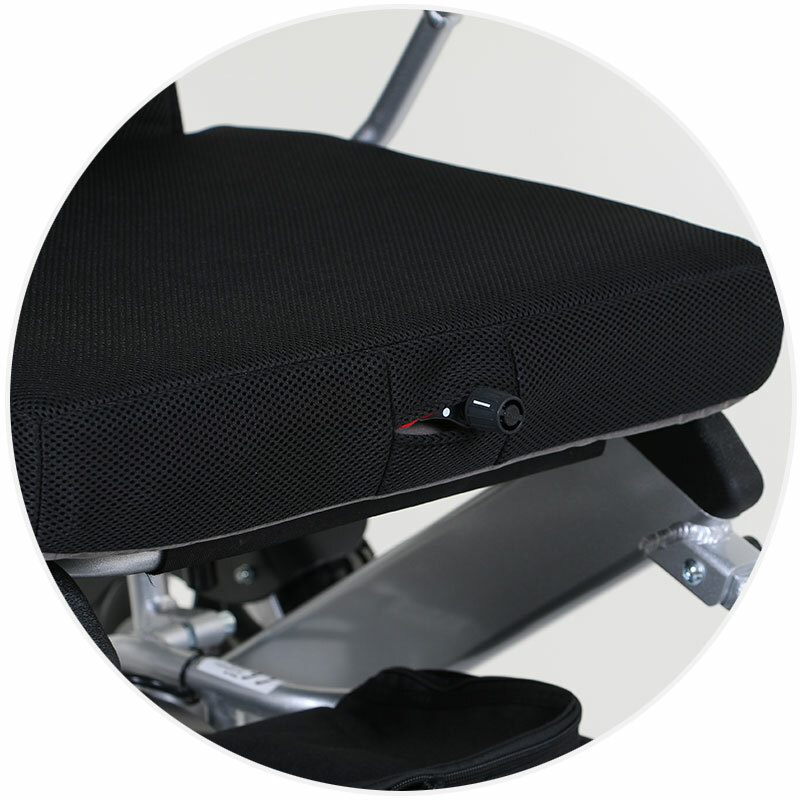 The headrest has great settings and can be adapted to each individual’s and needs, thanks to its clever mounting system. With a headrest on your Eloflex, you get an even more comfortable sitting and driving positions. 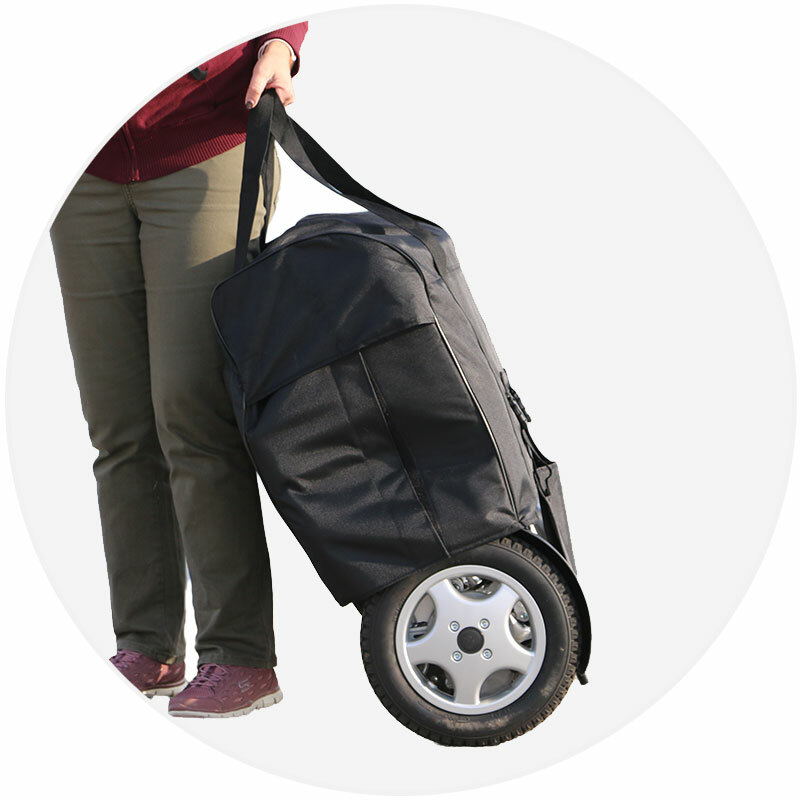 Our cover bag is the perfect accessory for those who want to take extra good care of their chair during transport, when checking in on the flight or unloading the car. The bag is black and made of durable nylon fabric. You apply the bag over the chair when the chair is folded and attach it under the seat with Velcro. It comes with two handles. 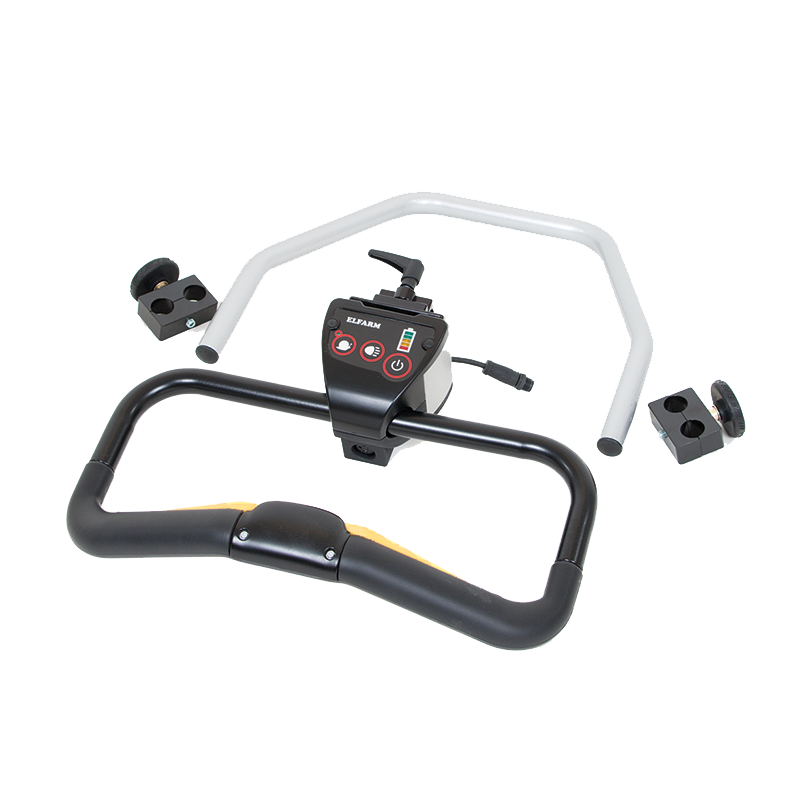 Our attendant control feature consists of an arm and bracket that allows you to mount the joystick on the backrest of your Eloflex. 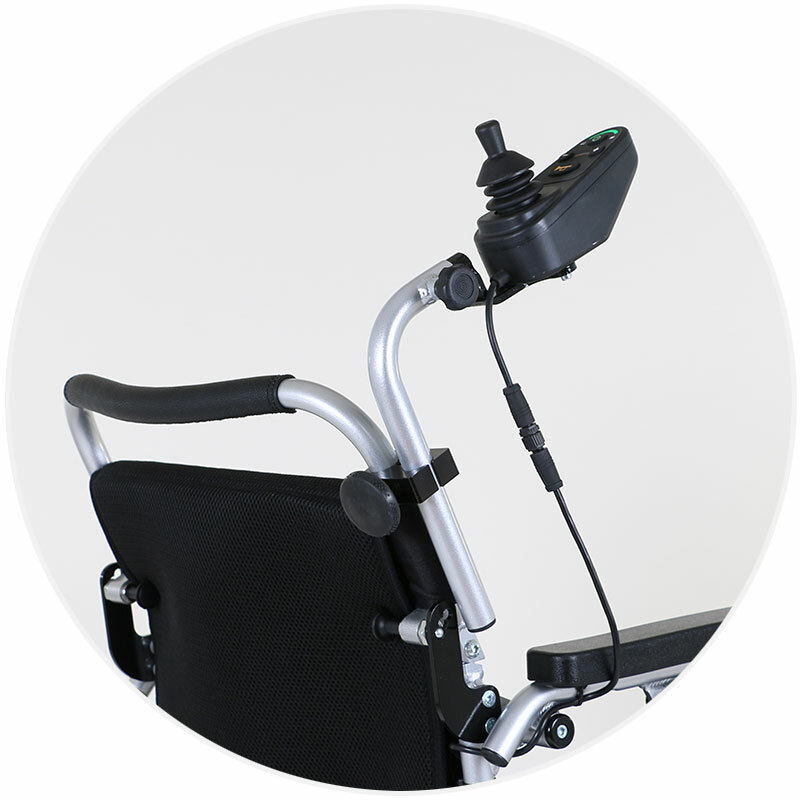 With attendant control, those walking behind or beside can drive the power wheelchair with a joystick – an ideal and much appreciated feature for the elderly and for certain medical conditions. This is something completely new. You have to see it to understand. Pictures says more than words. Therefore, we have collected a number of pictures of Eloflex models and their users in a gallery. Quality and durability are important qualities for us at Eloflex. 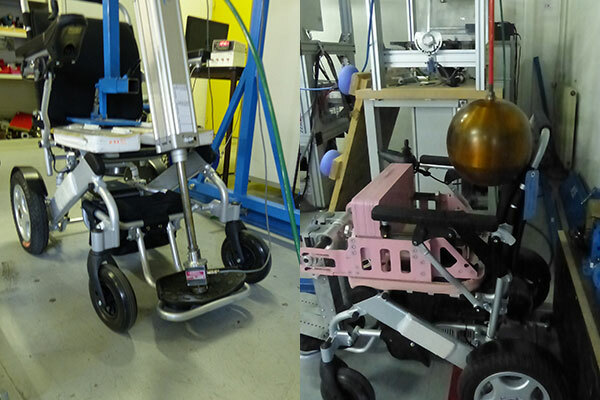 Therefore, we have let independent test institutes test and evaluate our folding electric wheelchairs. The result is clear, Eloflex has the highest quality and is approved regardless of the test. 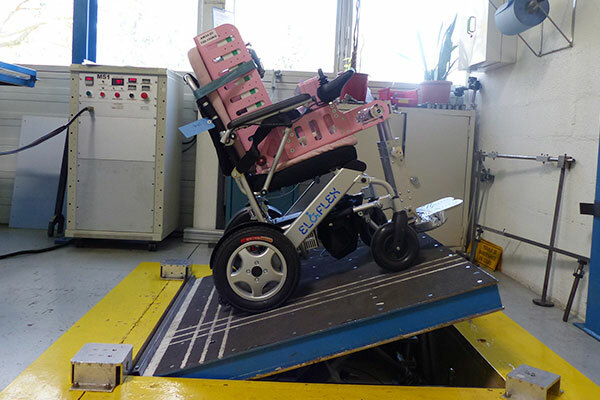 Our electric wheelchairs have undergone the toughest test of all of them, the so-called EN12184, where the chair is allowed to confess color for 3 months. 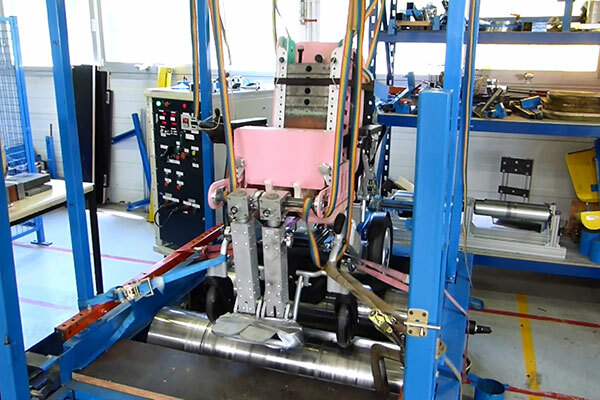 Among other things, the 200,000 cycles run in a so-called test drum, and then it drops in the floor 6666 times. In addition, brakes, stability, durability, fatigue, speed, electronics and much more are tested. Eloflex is also approved by the Swedish Medicines Agency as a medical device, it is CE-approved, tested and approved according to ISO-7176 and IEC-60601 and the batteries are approved by UN38. 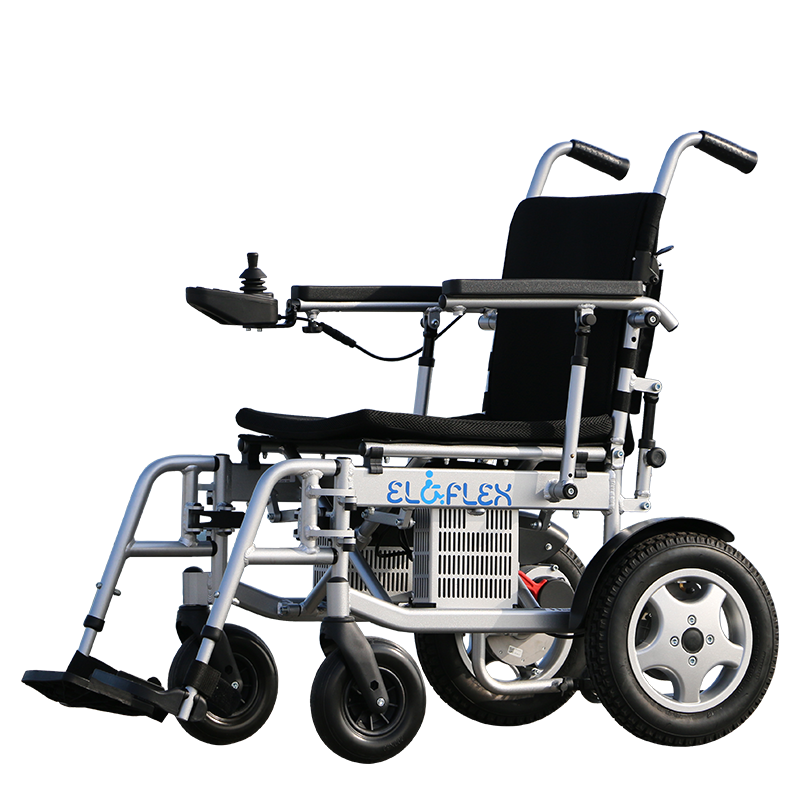 With a tested and approved electric wheelchair from Eloflex you can feel calm. When you choose the original, you get proven high quality and high reliability. Click here to watch the movie from the test. Watch the film from the independent test of Eloflex according to EN12184. 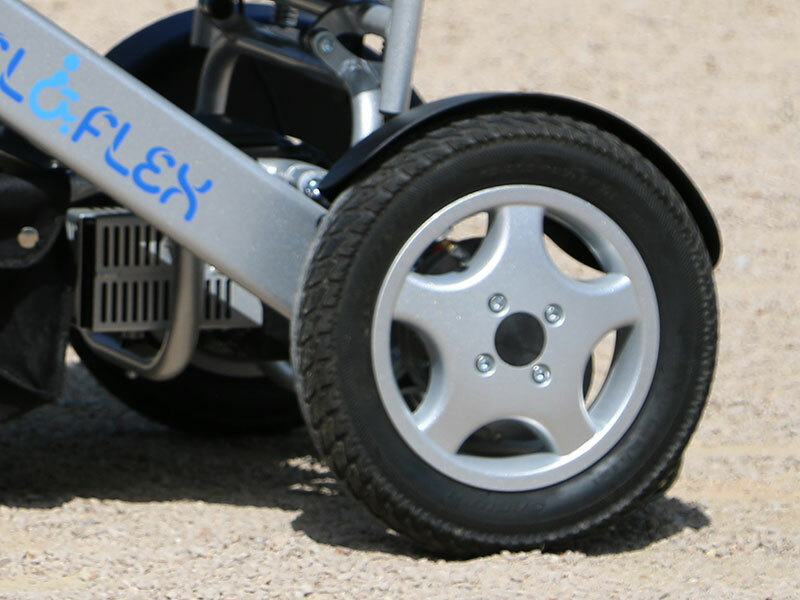 Eloflex is an electric wheelchair with unique features that make it smarter, lighter, more compact and easier to fold and use. 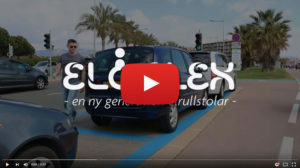 Watch our films to understand what differentiates Eloflex from traditional wheelchairs and Permobils. Click the button to the right to download our Eloflex brochure directly to your computer. If you want us to mail you a copy, please get in touch with us via our contact page. 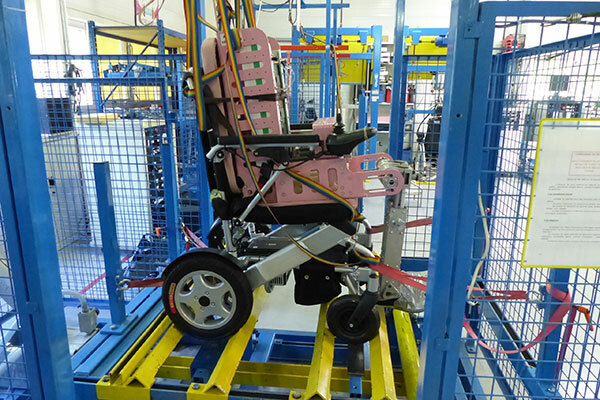 Eloflex wheelchairs are designed, engineered and manufactured with a painstaking attention to detail. 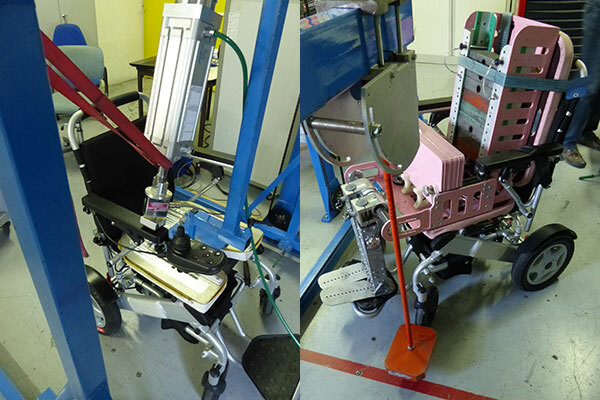 Each solution is carefully refined and tested to give you a new level of mobility. 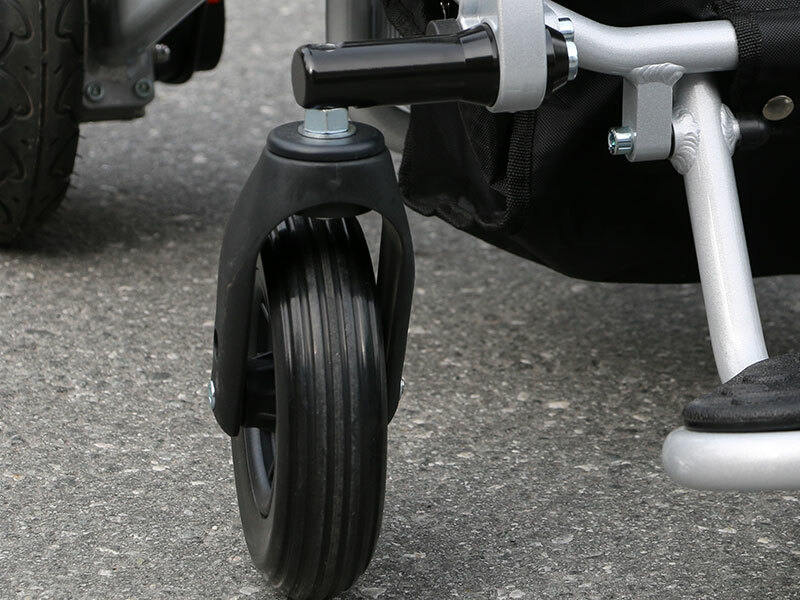 Many ideas originate in our manual wheelchairs. Move the mouse over the image to get more information. Hover the mouse over the image to get more information. 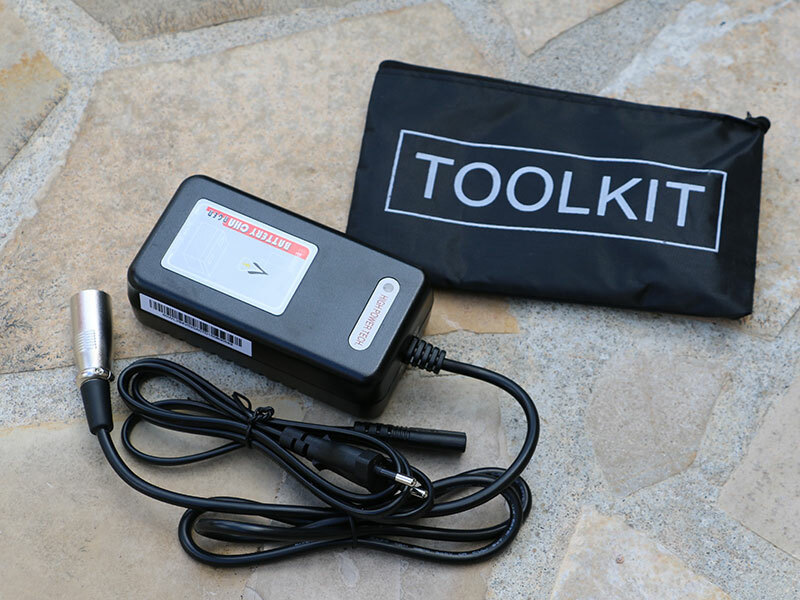 Dual 24-volt lithium batteries of the latest technology provides long range. The comfortable footrest can be folded up for easy entry and exit. 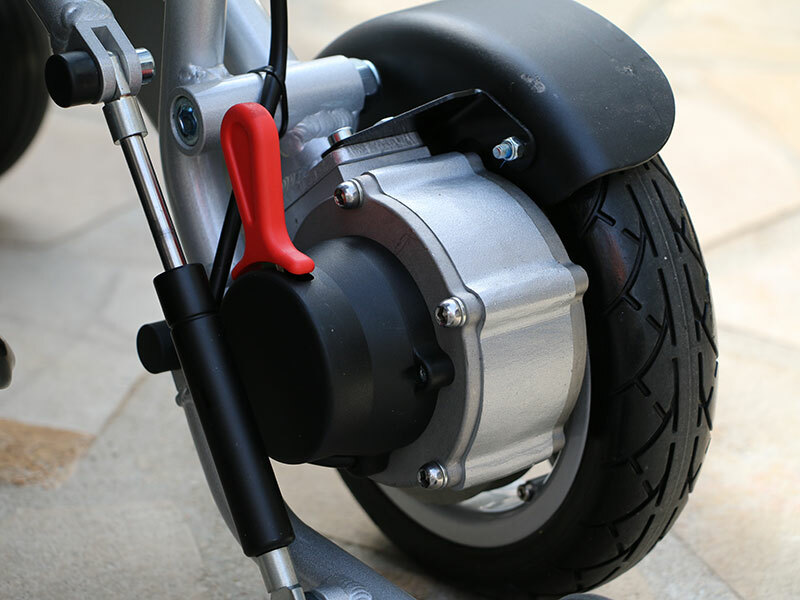 The rear wheels have strong pattern for good grip on all surfaces. Both armrests can be folded up for easy entry and exit. 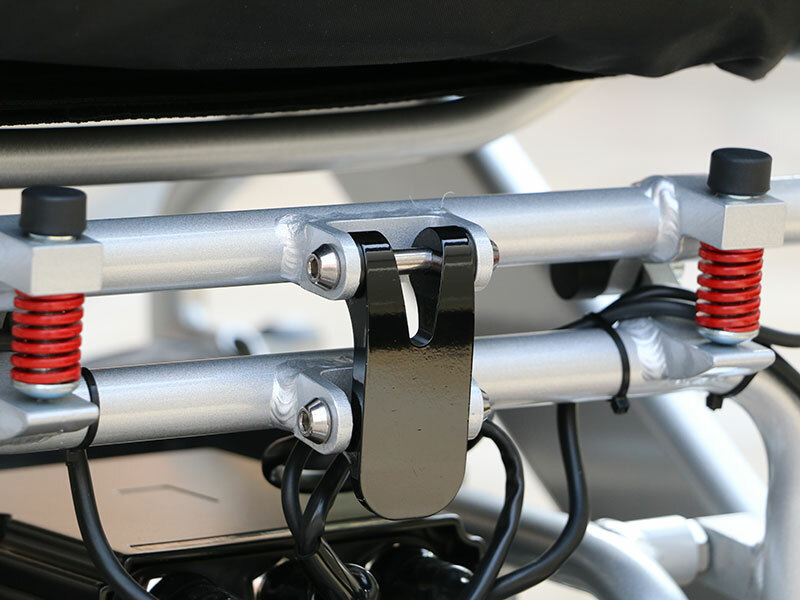 An adjustable seat belts with quick release provides safe driving. The cushion is removable and the case can be removed and washed in the machine. 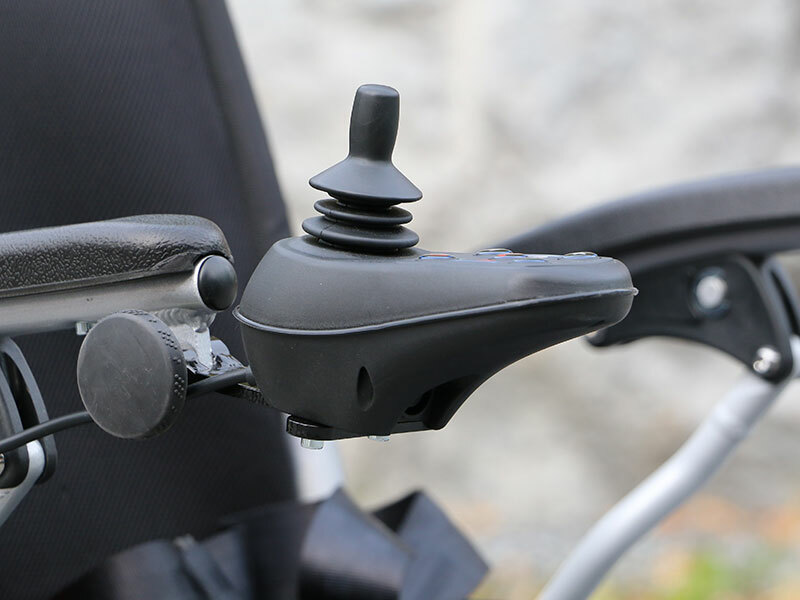 The joystick can be mounted on the left and right arm rests or up on the seat back *. 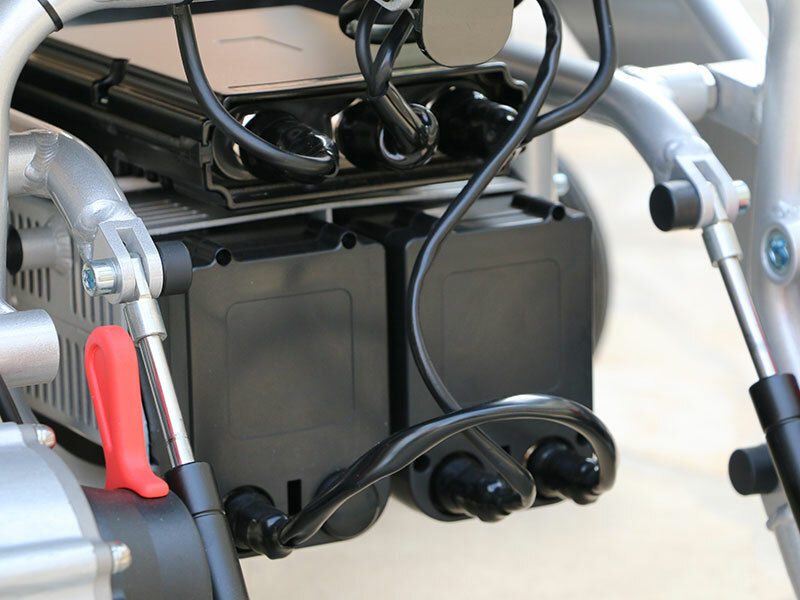 A quick charger and a tool kit is included with each power wheelchair. 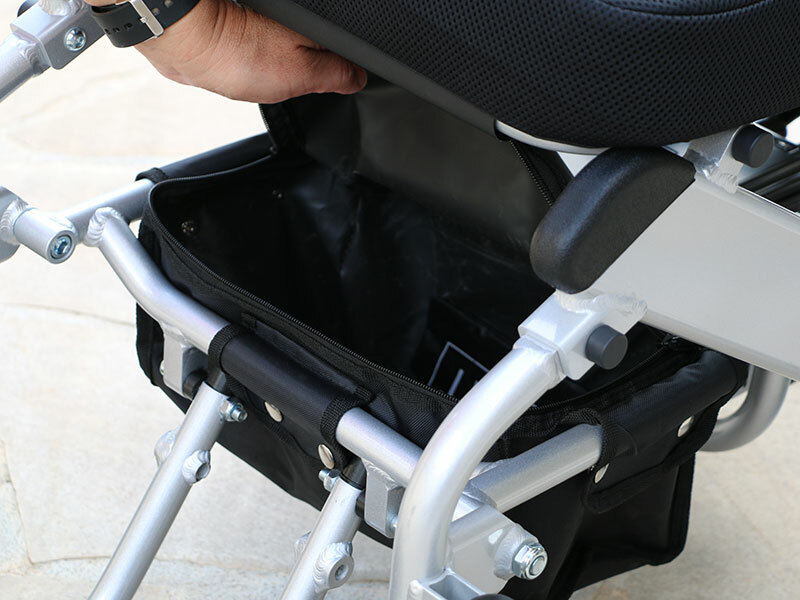 A quick-release makes it easy to fold up and lock the seat in the upright position. The clever design is the secret behind the foldable feature. 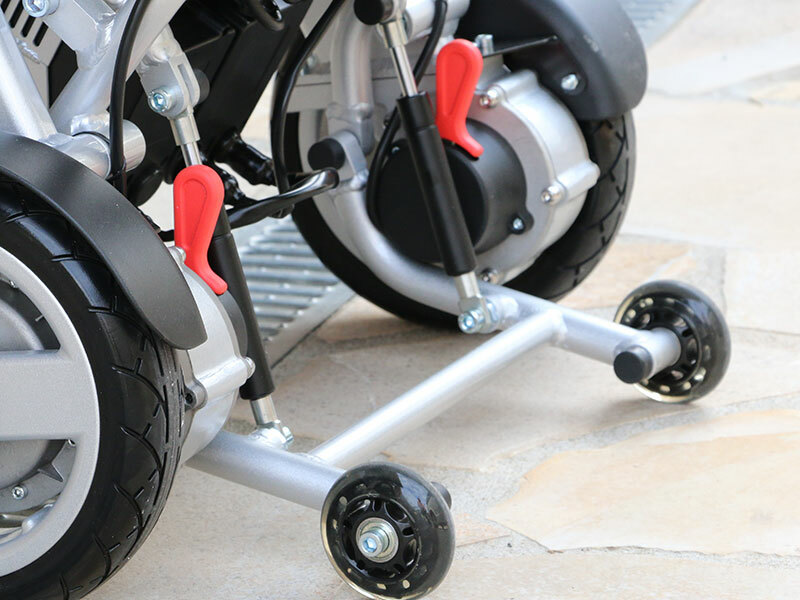 Large front wheels for stable and convenient transportation. Twin brushless motors providing safe and quiet operation of up to 30 km. 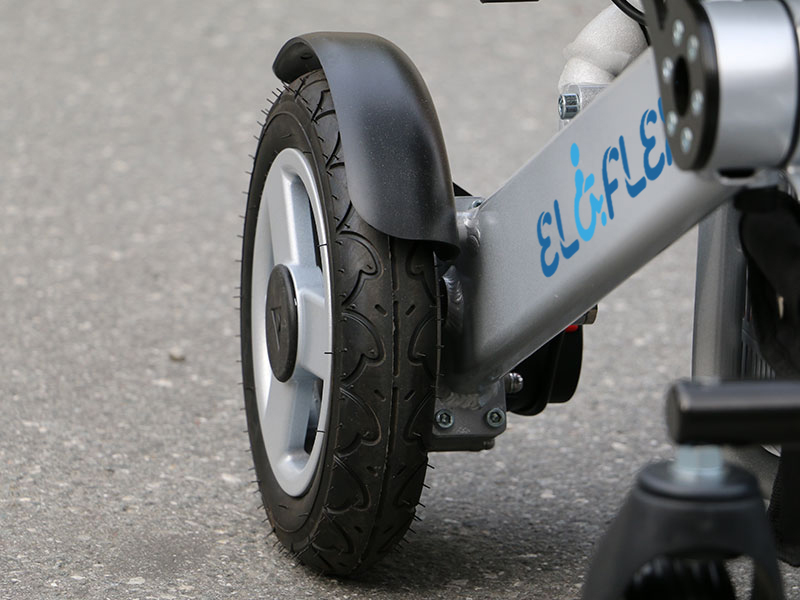 The large Plus wheel filled with air fit well in the nature and on uneven ground. A spacious pack bag under the seat for storage of personal belongings. Smart tilt protection with gas allows the passage of curbs and steps.